For a city with a significant Filipino population, Vancouver is sorely lacking in Filipino restaurants. Now, I have speculated about this phenomenon before with indications that home cooking trumps eating out. For myself, that is not an option, therefore, eating out would be my main access to Filipino cuisine. 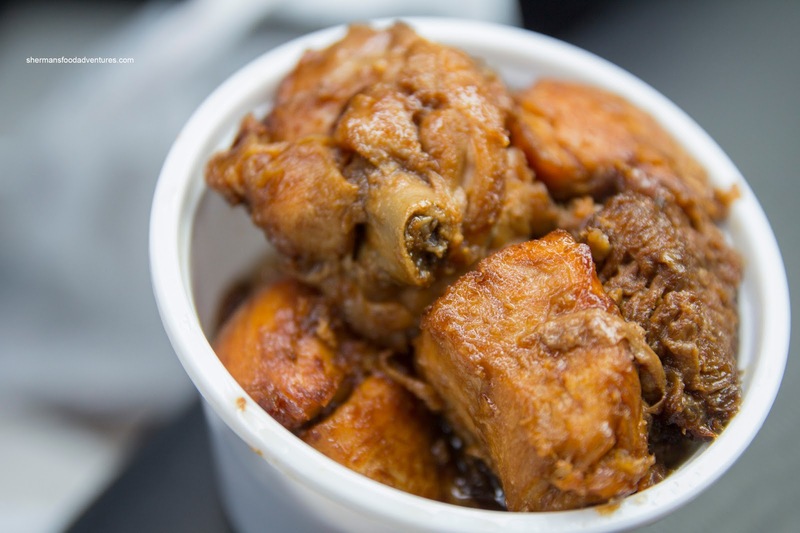 Rich Guy and Rich Gal (she's Filipino) often ridicule my desire for Filipino eats because they can get all the Filipino food they can handle, yet are not really all that interested in eating out at any Filipino eatery. I guess I rest my case??? 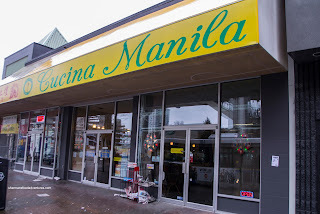 So my latest Filipino food adventure brought me to the Surrey location of Cucina Manila. Think of it as a Filipino version of their next door neighbour - Top King's. So with all the food on display, one can make their own combo which includes steamed rice and a choice of 2 items excluding the bigger ones such as Bangus and Crispy Pata. 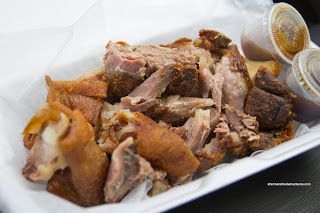 Of course I couldn't resist the Crispy Pata, so I added it to my order. Assuming it had been sitting there for awhile, I wasn't expecting really crunchy skin. And yes, it was on the chewy side, but it wasn't terrible. The meat underneath was sufficiently moist with a nice layer of gelatinous fat. Dipped into the vinegar, I ate the whole thing easily. After dusting that off, I tackled the combo, which included the classic Adobo. It was a mix of chicken and pork where the latter was definitely better. It was soft and fatty. On the other hand, the chicken was dry and chewy. I did like the flavours though as there was enough tartness. The sauce was on the greasier side, which I expected, but not something I personally prefer. 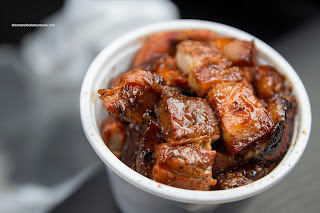 Lastly, I had the BBQ Pork which was a touch dry, but flavourful in a sweet charred way. Unsatisfied with only one visit, I went again going with the combo and adding a separate item. 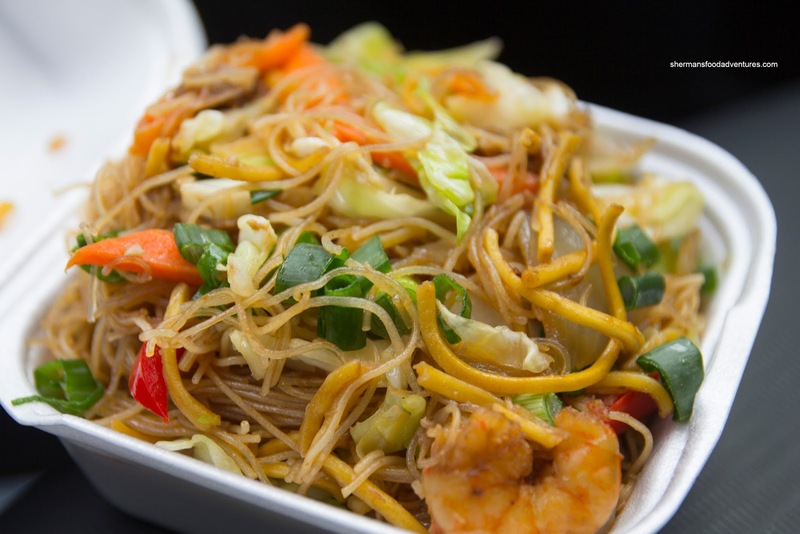 This time it was the classic Pancit. I found this one to be loaded with lots of ingredients such as carrot, red pepper, cabbage, onion, shrimp, pig's ear and green onions. So much so, there was very little noodle. As for the noodle, it was a pleasant chewy texture and mildly seasoned. For my combo, I selected the Adobong Pusit and Pork Binagoongan. Unlike the other times I've had it, the pusit was mostly tender and slightly chewy. 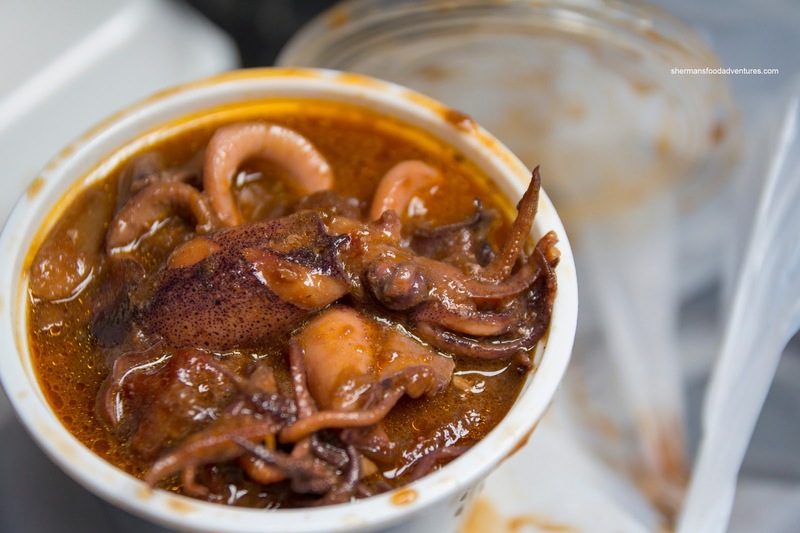 I found the dish appetizing as there was a nice vinegar hit within the mild sweet onion sauce. While I was taking pictures of the Pork Binagoongan, oil splashed everywhere. Yes, it was really, really greasy. Again, not unexpected though. 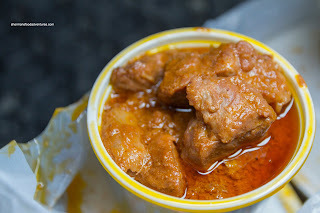 Despite this, the shrimp paste was pungent while the pork was tender. I needed all of the rice to balance out the saltiness (which I liked). However, I would've liked to see some spice to counter the salt.